It was only last week that the House Democrats held an all-night sit-in the House chamber to protest in favor of gun control. We sadly saw a hero of the civil rights movement, Rep. John Lewis (R-GA), protesting in favor of actions that would actually curtail both 2nd and 5th Amendment guarantees. At the time, Speaker Paul Ryan (R-WI) said the Democrats sit-in was nothing more than political theater and that the Constitution must be protected. According to the Washington Examiner, Ryan told the House Republican Conference that the House will vote next week on a package of measures including one that would use the no-fly list to deny firearms purchases. The House will vote on an anti-terrorism measure next week that would prevent terror suspects from purchasing guns, House Speaker Paul Ryan told GOP lawmakers Thursday. In a conference call with the House Republican conference, Ryan, R-Wis., outlined a plan to vote on a legislative package that responds to the recent terrorist shootings, including limiting access to firearms by those on federal terror watch lists. The move comes as Democrats threaten to continue "sit-in" demonstrations on the House floor until the GOP majority allows votes on two specific Democratic gun control measures. The demonstrations forced the House GOP to gavel out early for a week-long recess earlier this month. You know what this means - time to start calling/emailing/faxing your Representative. You can find their webpages and phone numbers here. You don't have to have been a Boy Scout to know that the Boy Scout motto is "Be Prepared". As the newest video commentary from Dom Raso makes clear, Islamofascists are going to target gun-free zones. These include night clubs like in Orlando and shopping malls like in Kenya. And it doesn't have to be only Islamofascists. A suicidal man who wanted to achieve notoriety with his death targeted the Von Maur Mall in Omaha, Nebraska. He killed eight people in that gun-free zone. Second, you could still obey the gun-free zone signs but have a plan. In other words, be prepared. That preparation should include your family if you have one. Have an agreed upon meeting place if you have to suddenly exit, have an alert word that everyone knows means get out now, and make sure everyone knows where the exits are including the less obvious ones. This is just a start. Third, even if you aren't allowed to carry a firearm you can carry a knife, an ASP baton, pepper spray, or other weapon. Gun-free doesn't have to be weapon-free. Finally, you can carry a firearm regardless of the signs. Note, I am not advocating disobeying the law. You should know the law of your state or the state which you are visiting. You should know if the gun-free zone signs have the force of law or are they merely a suggestion. You should know the legal consequences of disobeying the law and weigh them in your own mind compared to the alternatives. Would having a gun make a difference? It did in a South Carolina night club just last Sunday night. I don't know the South Carolina law on carrying in clubs and don't know if the legal concealed carrier actually went into the club but I do know it stopped a mass shooting. I saw this on Instagram this morning. I wonder if my ExpressScripts drug plan will cover it. Hmmm? As a sidebar, notice that this Four Roses was distilled in Frankfort, KY instead of their present home of Lawrenceburg. I came across an editorial in the National Review from June 14th. While I'm a little behind times as we have family visiting, the editors of the National Review said we don't need a new assault weapons (sic) ban. You can read the whole editorial here. An “assault weapon” is the Sicilian widow of the firearms world: a little scary-looking and all dressed in black. I love it! This can lead to a whole plethora of names for new AR builds. The old style one could be named Mrs. Corleone. A more modern one could be Francesca or Isabella or Carmella or Elena. The possibilities are endless. No word, though, on whether an AR-15 can pull off the malocchio or evil eye. California Lt. Gov. Gavin Newsom is trying to ride gun control to the governor's mansion in Sacramento. His opponents in the gun rights community, while underfunded compared to Newsom, are determined that he isn't going to win without a fight. The Firearms Policy Coalition recently released this 30 second spot noting that civil rights don't have borders and that Newsom's proposals could spread to the rest of the nation. If you can spare a few bucks, you might want to donate to the fight. Even better donate the equivalent of the price of a box of ammunition. That would appropriate since Newsom wants to have you to have to buy a $50 ammo purchase permit. When the Tennessee legislature voted earlier this year to allow campus carry on state university campuses, they limited it to full-time employees of the schools. Moreover, in an effort to appease the governor and university administrators, they put the liability for accidental/negligent discharges on the employee. Liston Matthews, the Knox Gun Guy and a retired college instructor himself, has done yeoman's work in getting details from the UT Police Department on what's required and the necessary forms. The full-time faculty/staff must only register themselves and their permit number, not the handgun itself. You can also visit our department website, which should answer any other questions you may have. Notice that Lt. Richardson (no relation) mentioned the form required to be completed. However, he did not send a copy with his responses. It took a bit of back and forth before Liston was able to get that form. Perhaps it was the mention of his attorney that shook it loose. You can see the form here. Nashville's The Tennesseean has a long story on both the bill and the reaction around Tennessee campuses to the coming change. For a large newspaper it was both fairly accurate and fairly evenhanded. I recommend reading it. Thanks to Liston for his work in prying loose the form and answers from the UTPD. Sen. Susan Collins (RINO-ME) usually worries about important things like whether Maine lobsters are invading Europe. Now she and an unholy alliance of senators are introducing a "compromise" bill that allows the Attorney General to deny firearms purchases to anyone on the No-Fly List or the "Selectee" List. Their idea of due process is to allow you to appeal to the US Court of Appeals if denied, pay an attorney big bucks, and then, and only then, recover your attorneys fees if your appeal was successful. The bill is entitled the Terrorist Firearms Prevention Act of 2016. I wonder if she considers the late Sen. Ted Kennedy (D-MA) or Rep. John Lewis (D-GA) as terrorists as both ended up on the No-Fly List. If not for their positions in Congress they still might be on it. The bill is pitched as a compromise between the failed bills of Sen. John Cornyn (R-TX) and Sen. Dianne Feinstein (D-CA). While I didn't like either of those bills, the Cornyn bill at least had some recognition of the 5th Amendment guarantee of due process. The ACLU, to their credit, didn't like either bill. Here is a summary of the bill as put out by Sen. Collins. Please notice item no. 4 which gives the Attorney General the power to approve a sale to someone on the list so as to not impede a FBI counter-terrorism investigation. Given that current Attorney General Loretta Lynch can't even say the word "Muslim terrorist", what's to say that all terrorists won't be OK'ed as a matter of policy. As we saw during Project Gunwalker, most of those firearms are still in the hands of the cartels. The bipartisan “Terrorist Firearms Prevention Act of 2016” would prevent people who are on the No Fly List or the Selectee List from purchasing firearms. If our government has determined that an individual is too dangerous to fly on an airplane, that person should not have the opportunity make a legal firearm purchase. Due process principles require that Americans denied their right to purchase a firearm under this provision have the opportunity to appeal this denial to a federal court. 1. Gives the AG the authority to deny firearms sales to individuals who appear on the No Fly List or the Selectee List. 2. Provides a process for Americans and green card holders to appeal a denial in U.S. Court of Appeals and to recover their reasonable attorneys fees if they prevail. 3. Sets forth a procedure for protecting classified information during the appeal. 4. Protects ongoing FBI counter-terrorism investigations by giving the AG the discretion to allow gun sales to go forward to individuals covered by this Act. 5. Includes a “look-back” provision that ensures prompt notification to the FBI if a person who has been on the broader Terrorism Screening Database (TSDB) within the past five years purchases a firearm. How It Works: The TSDB is the broad consolidated watch list comprised of several more narrow threat databases that various government entities maintain. The No Fly List is a subset that precludes an individual from boarding a commercial aircraft that departs in, arrives from, or flies over the United States. The Selectee List is used to identify individuals who require additional screening. Individuals on the narrower No Fly and Selectee lists would not be allowed to purchase guns, but Americans and green card holders would have due process rights to appeal in the Court of Appeals following a proscribed procedure. The AG would have the burden of proof, and the court would be required to make a decision in 14 days. Classified information would be reviewed by the court following procedures similar to those in the Classified Information Procedures Act used for criminal proceedings. In cases where the classified information is relied upon, the court would have a range of options to protect the information while fully ensuring due process. These options range from providing an unclassified summary to disclosing some or all of the classified information. To ensure appropriate oversight and transparency, the Attorney General would be required to report to the Intelligence and Judiciary Committees of the House and Senate on the number of persons denied a firearm, the number of appeals filed, and number of persons who prevailed in their appeals under the provisions of this Act. Anti-gun Rep. John Yarmuth (D-KY) tweeted this out picture of the Democrat's sit-in of the House of Representatives floor. They are demanding a vote on gun control. Here's a suggestion for Speaker Paul Ryan and the Republican leadership. Be kind to those aging Democrats. I'm sure they are thirsty and you don't want them fainting from dehydration. Send them some water or even some energy drinks (full of caffeine). Make sure you provide them with a lot of liquids. Insist that they continue their sit-in for many more hours and don't let them leave. I assure you that those old male Democrats with their old man bladders are going to start to get really twitchy sooner than later. I don't care how much Flomax or Toviaz they are taking for BPH and OAB. My good friend, fellow blogger, and fellow podcaster Rob Morse spent several days recently training with a group of Ohio teachers in the FASTER (Faculty/Administrator Safety Training and Emergency Response) program. They don’t look like heroes, but they are. I spent several days with a group of Ohio teachers who want to protect their students. Most teachers feel the same way, but these extraordinary individuals did something about it. They took a training course. They learned to stop an armed attack in their schools. They learned to treat the injured. Rather than shelter in place and wait for the police and EMTs to save them, these teachers became the good guy with a gun and bandages. The training program is a success. The volunteer organization that trains teachers doesn’t have enough money to train everyone who wants instruction. These men and women do it for love and they need our help. The Supreme Court denied certiorari in Shew v. Malloy. This is the case that challenged the state of Connecticut's assault weapon (sic) ban. 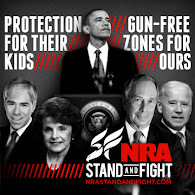 This lets stand the ban imposed after the Newtown shooting. I am in a location without Internet access so I am making this brief and without links. UPDATE: The order list listing the denial of cert is here. I think Luke below and Sebastian at Shall Not Be Questioned are correct in that this is about the best we could hope for with a 4-4 divided court. By not accepting the case, the justices have limited the impact to only the 2nd Circuit with consists of New York, Connecticut, and Vermont. Buncombe County Commissioner Mike Fryar (R-Buncombe) has proposed the county switch $500,000 from a budget line allocated to the Asheville Art Museum and use it for the development of a public shooting range in the county. He had visited the range that was recently opened in Cleveland County (Shelby, NC) that is run in a partnership between the county and the NC Wildlife Resources Commission. The range as Commissioner Fryar envisions it would have a 100-yard rifle range with six stations and a 25-yard pistol range with eight stations. I would hope they go further and create a pistol bay that can be configured for more advanced training or IDPA/USPSA competitions. Commissioner Ellen Frost, also from District 2, called the gun range "absurd". She went on to say that it was not an appropriate time to bring up the issue after 49 people were gunned down inside a gay nightclub in Orlando. "I think it's incredibly disrespectful to the people of Orlando," she said. Fryar says he understands both views. "Orlando was terrible. It was bad terrible, but as I told my brother 35 years ago, be careful brother. There's a nightclub here in town called Scandals. He opened it," he said. "My brother went to gun ranges and shot, in indoor range to shoot his pistol because he always had a pistol at the bar." Scandals, by the way, is a gay-friendly nightclub in Asheville. The issue comes to a vote on Tuesday. Unfortunately, given the left-leaning composition of the Buncombe County Board of Commissioners which include Ellen Frost, I don't expect the proposal to pass. Getting a majority of commissioners to defund the museum and put the money toward a gun range may, however, prove difficult. Fryar had the support of the two other Republicans to put the proposal on the agenda. But Democrats hold a 4-3 majority on the county's governing body. Democratic board Chairman David Gantt said he opposed the proposal because it would "leapfrog" over other projects the county has planned for years, including work on the East Asheville Library, the recycling transfer station and the radio system for emergency responders. "Buncombe County would also have to buy land to build this proposed public outdoor shooting range," Gantt said, adding a site would be tough to find and that he thought costs would exceed $500,000 for taxpayers. "I believe that public shooting ranges should be financed by private business, not Buncombe County taxpayers," he said. The problem with a range as a private business is zoning. I fully expect the Buncombe County Commissioners to react similarly to the Haywood County Commissioners and put too many restrictions on new private ranges that they would not put on their own range. Grass Roots North Carolina sent out this alert yesterday. It is asking that people contact their Federal representatives to oppose any of these measures. I agree with GRNC that it is disappointing that NC Attorney General and gubernatorial candidate Roy Cooper (D-NC) is calling for the no-fly list gun ban. You would think that after 16 years as the state's attorney general he would have at least a little appreciation for due process. However, he must feel that it is politically expedient to ignore constitutional rights. The Battle is Not Over! Weak politicians continue to teeter on your gun rights. . . Even after a massive outcry from law-abiding Americans demanding that Congress respect their rights, and instead take effective steps to stop terrorism, many US Congressmen and Senators appear ready to cave to dangerous political correctness. Many politicians continue to indicate that they might support new legislation, or a return to failed legislation, such as the prior Clinton assault weapons ban laws. Those laws were repealed because they did nothing to reduce gun crime, and they infringed on the rights of the citizenry. Senators Schumer, Feinstein and other anti-gun elected officials will still be pushing anti-gun bills and amendments this coming week in the U.S. Congress! Thursday, North Carolina's own Attorney General, Roy Cooper, also spoke up in favor of gun control. One would think someone who has risen to such a position within the boundaries of this country would know a little something about due process and secret government lists. Unfortunately, in the case of Roy Cooper, you'd be wrong. On Thursday, Cooper bragged that he has proposed that people on the national terrorist watch list not be allowed to buy guns. Click hereto read more about Roy Cooper's Gun Control support. If there has ever been a time when Americans need to be prepared to protect themselves and their families from the unexpected and unthinkable, this is the time! Yet, even after the horrific event in Orlando, there's now talk of a "No Buy List" and Trump and GOP Lawmakers in Washington are opening the door to restricting gun buys for those on a watch list. The problem is that you can be put on the Watch List without ever knowing it and once you're on there you'll find it almost impossible to get off the list.Mitch McConnell is opening the door to this as well. He's announced that the GOP is "open to keeping guns from terrorists" but we have to be careful that sloppy legislation rushed through to appease the anti gun nuts doesn't restrict the rights of law abiding gun owners. Appeasing noisy protesting anti gun nuts will do nothing to make us safer. PHONE YOUR SENATORS AND YOUR REPRESENTATIVE using:202-224-3121. Please contact other gun owners to tell them this threat is real, and ask them to take action as well. Suggested Subject: " No Gun Control for Law-abiding Voters in Wake of Terrorist Attack!" Many members of the House and the Senate are weakening their previously stated strong promises to gun owners that they will not sponsor or vote for any legislation that would weaken the 2nd Amendment rights of law-abiding citizens. I'm writing you to insist that you not co-sponsor or vote for any knee jerk legislation that is now being suggested in the wake of the Orlando tragedy. Blaming law-abiding gun owners is wrong. Instead of fixing blame I want you to fix the problem and make Obama answer for his complete failure in the war on terror. The introduction of any legislation to restrict our 2nd Amendment Rights is a depraved attempt to politicize a tragedy that will result in destroying our freedom. I will be monitoring your actions on this topic through legislative alerts from Grass Roots North Carolina. I just learned of an exemption to the NICS check when purchasing a firearm from a FFL. This is over and above the exemption for those that have CCWs from states where it is recognized as a substitute background check. It is called the "hobbyist" exemption and I learned about it from a Demanding Mommy from Texas with whom I have been going back and forth with on Twitter. This was in response to a tweet that noted a background check is required when purchasing a firearm from a Federal firearms licensee. "Tricia" said earlier you could buy an AR-15 without a background check in Texas because the state didn't require it. This shows just how little our opponents know about Federal firearms law and what is required. Just in case you haven't already called or emailed or faxed your Senators and Congressman/woman, here is a reminder. I don't care if you live in San Francisco and you have Rep. Nancy Pelosi (D-CA) as your representative, do it anyway. Get it on record so she can't say she didn't hear from you. The NRA has learned that Senators Schumer, Feinstein and other anti-gun elected officials are going to offer several anti-gun bills and amendments next week in the U.S. Congress! These measures are wide-ranging and include an attempt to reinstate the failed federal ban on semi-automatic firearms, commonly referred to as the "assault weapons ban." It doesn't matter that the Clinton gun ban did nothing to reduce crime. This is about YOUR freedoms and YOUR Right to Keep and Bear Arms. But it doesn't stop there. In fact, one amendment will attempt to strip the Second Amendment Rights from those on secret government lists while another could lead to federal registration of all gun owners. They're also planning to push for increased federal funding of anti-gun research. We must defeat every one of these anti-gun proposals. What's obvious is that many who want to destroy our firearm freedoms are using the terrorist attack in Orlando to push their anti-gun agenda. They'd rather blame you as a law-abiding gun owner than make Obama answer for his failures in the global war on terror. We can't let them succeed in this depraved attempt to politicize a tragedy so they can destroy our freedoms. Please contact your U.S. Representative and U.S. Senators immediately and let them know you oppose any new gun control measures. You can call your lawmakers at 202-225-3121 or click the "Take Action" button below. 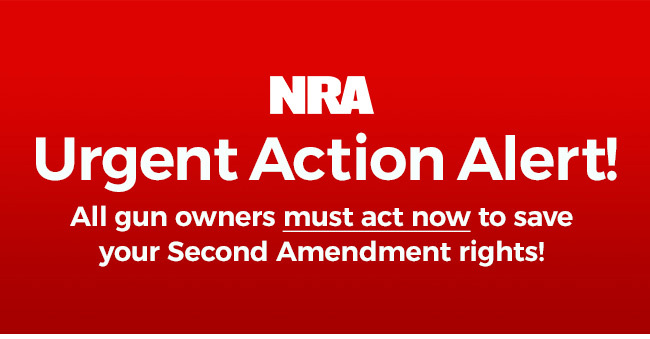 Be sure to share this message with your fellow NRA members and gun owners and let them know this threat is real. Your action is needed now. Libertarian comedienne Julie Borowski with her squeaky little voice and innocent, confused looks nails it in this video. This is especially true given the statement from Sen. Joe Manchin (D-WV) that "due process is what's killing us right now". Due process is and will remain important so long as we as a country remain faithful to the Constitution. Once due process goes we might just as well have just remained colonies under the British Crown. As Sebastian at Shall Not Be Questioned has pointed out over numerous posts, Sen. Pat Toomey (R-PA) is in very tough re-election fight. Moreover, as Sebastian has also pointed out, Toomey just seems to want to lose the votes of the one group that would make the difference in his election - gun owners. He's at it again. In today's Wall Street Journal there was a discussion of the anti-due process filibuster being waged by Sen. Chris Murphy (D-CT) in an effort to get anyone and everyone in the FBI's Terrorist Screening Database and other assorted "terrorist watchlists" on the NICS denied list. What caught my eye was this little tidbit. Sen. Joe Manchin (D., W.Va.) and Mr. Toomey introduced again on Wednesday their legislation that would expand background checks to all sales at gun shows and online, with the goal of flagging people with criminal or mental-health histories that disqualify them from gun ownership. Currently, the checks are needed only for sales by federally licensed dealers. The bill stalled in the Senate in April 2013. Like a zombie, Manchin-Toomey lives again! I don't have the bill number as it is so new that the Library of Congress and GPO don't show it on their databases. There may be some hope for New York yet. The State Senate just passed the Knife Rights sponsored bill that stops New York City's switchblade and gravity knife arrests by a vote of 61-0! The State Assembly had previously passed the bill by a vote of 99-12. The bill now goes to Gov. Andrew Cuomo (D-NY) for his signature. 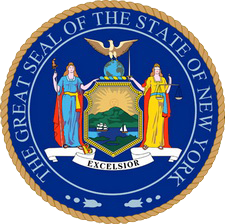 Knife Rights' Gravity Knife and Switchblade Reform Bill, S6483-A/A9042-A, passed the New York Senate today on a unanimous vote of 61-0. Knife Rights' Director of Legislative affairs, Todd Rathner, has spent many weeks on the ground in Albany this session working closely with our friends there to shepherd this bill through politically treacherous territory. All that extraordinary personal attention has paid off with this unanimous vote. The Assembly previously passed this bill 99-12. However, it is not over yet. S6483-A/A9042-A still needs to be signed by Governor Andrew Cuomo. The Governor will not officially receive the bill for his consideration until it is transmitted. Transmission of the bill could take a few weeks, so please be patient with the process. When the time is ripe, we'll ask for your help, but until then there's no benefit to contacting the Governor about this bill. Knife Rights would also like to acknowledge the invaluable assistance and support of The Legal Aid Society of New York, as well as the many other organizations that supported this bill. We'd also like to thank all of you who called or emailed Leader Flannigan asking for a vote on this bill. Your calls and emails make a difference. Neither Gravity Knives nor Switchblades have a bias towards closure found in common folding knives to keep the blade safely closed in the pocket. Only in New York City has the NYPD and District Attorney Cyrus Vance, Jr. abused the states' gravity knife law to prosecute those carrying simple pocket knives by claiming they are illegal Gravity Knives. Knife Rights' Federal Civil Rights lawsuit against New York City and District Attorney Cyrus Vance, Jr. over these unconstitutional arrests and prosecutions continues with oral argument scheduled for tomorrow, June 16, which will be just over five years since the lawsuit was filed. The trial continues because until, and only if, Governor Cuomo signs the bill does the case become moot. The public is welcome to attend the oral argument, click here for more information about attending. AR-15s are fine for Hillary and her family. They've been protected by armed guards who use them for three decades. But average Americans who watch the news and feel genuine fear for their safety, and their families’ safety—Hillary wants to deny them the level of protection she insists upon herself. The elites will always have protection, usually government-supplied, against threats from their enemies, domestic and foreign. As to the rest of us, we are, as Michael Bane and others have noted, on our own. That means you and I are our own first responders. Why should we be denied an easy to use, fairly lightweight, highly functional, medium-powered firearm that is rarely, if ever, used in criminal attacks just to appease the powerful and the ignorant? The answer is we shouldn't. I just saw this tweet from presumptive GOP nominee for president Donald J. Trump. You will need the gun culture if you want to be elected. You have been tough on other stuff so now is no time to go wobbly. As I've written in the past, the Terrorist Screening Database, the TSA's "no-fly" list, and the FBI's terrorist watch list should not be used to deny an otherwise non-prohibited person from making a firearms purchase. Secret lists, even if created with the best of intentions, have no place in a free society and definitely no place in the United States. The possibly gay Islamofascist who pledged his allegiance to ISIS during the middle of killing 49 good people had been interviewed by the FBI multiple times yet was not on any so-called watch list. Saying the addition of people on these secret lists to the NICS banned list would prevent further attacks is nonsense. UPDATE: The NRA-ILA released this statement about meeting with Trump regarding no-fly and terrorist watch lists. We are happy to meet with Donald Trump. The NRA's position on this issue has not changed. The NRA believes that terrorists should not be allowed to purchase or possess firearms, period. Anyone on a terror watchlist who tries to buy a gun should be thoroughly investigated by the FBI and the sale delayed while the investigation is ongoing. If an investigation uncovers evidence of terrorist activity or involvement, the government should be allowed to immediately go to court, block the sale, and arrest the terrorist. At the same time, due process protections should be put in place that allow law-abiding Americans who are wrongly put on a watchlist to be removed. That has been the position of Sen. John Cornyn (R.-Tex.) and a majority of the U.S. Senate. Sadly, President Obama and his allies would prefer to play politics with this issue. If the Democrats really believe that a no-fly list and/or the terrorist watch list will stop them from obtaining the means to kill Americans, they are sadly mistaken. Gangs use straw purchasers all the time. Am I to think that ISIS terrorists are so mentally disabled that they won't emulate this? No! As to the efficacy of no-fly lists, this CNN story details some of the people who have been prevented from flying due to the list including Democratic icon Sen. Ted Kennedy (D-MA). Horrifying! Loud! Very Loud! Bruising! Disorienting! The headline contains some of the adjectives that Gersh Kuntzman used in his NY Daily News story about his experience shooting an AR-15 for the first time. Modern journalism has sunk lower than I thought possible. The sad thing is that some people will believe the stuff he has written. Reading this you would think it was written by some Special Snowflake that had just graduated some Ivy League school in Aggrieved Peoples Studies. Instead it was written by a 51-year old man who is the deputy managing editor of the NY Daily News. Someone of an age that could be expected to have some measure of maturity and life experience. A Baby Buster and not a Millennial. Someone who didn't just get participation trophies but actually had to work for it. According to his resume, Kuntzman did graduate from the Ivy League (Brown with a degree in Russian). His bio, which may contains some padding, says he also attended the Sorbonne, the London School of Economics, and the Yale School of Drama. I can believe that last part! I can take the drama but what pisses me off is the tossed off claim to "a temporary case of PTSD". There are too many good men and women, both old and young, who put themselves in harm's way for this country and now suffer the silent scars of PTSD. It is disgusting beyond belief to lay claim to PTSD - even temporarily - after a mere trip to an indoor range. Gersh Kuntzman - you are beneath contempt! Take your yellow journalism and go back to writing your books about baldness and plays about SUVs. UPDATE: Larry Correia has a great sendup of Mr. Kuntzman called "Ask Kuntzman". It will have you snorting with laughter. I don't know Ann aka Grasshoppah but I think her tweet hits the nail on the head. What does it say about those in power and those who are seeking power, i.e. Hillary, that they would let one Islamofascist's actions be their reason (or excuse) for suppressing our God-given rights? What does it say about us as a country if we let them? Ian at Forgotten Weapons has released another of his excellent videos on older firearms. This one is on the Spanish FR-8 Mauser. I remember seeing this for the first time in the early 1980s at a local gun store for about $150. Of course, I should have bought it then because by the time I bought my own FR-8 the price was $350 which I thought reasonable. To me the best feature of the FR-8 is the sights. Unlike your typical Mauser notch and post sights, the FR-8 has a protected front post with an adjustable ghost ring sight. Now I know most of you are wondering about the headline. How can France not be a developed country. It has the Louvre, wonderful vineyards, exquisite cuisine, couture fashion, and was the home of thousands of brilliant scientists, artists, writers, and musicians over the centuries. Well, according to Shannon Watts of Everytown Mayors for Demanding Mommies, it just can't be because shootings like the one by the Islamofascist at a gay night club in Orlando only happen in America and no other developed country. The attack by Muslim terrorists at Le Bataclan in Paris which killed 130 and wounded hundreds more is off of Shannon's radar because it doesn't fit her gun control narrative. France, by the way, had very, very strict gun control laws as does Belgium where many of those terrorists obtained their weapons. Terrorists are going to kill people. It is what they do. That it was a gay nightclub fits squarely within the ISIS/ISIL playbook as they despise both Americans and gays. The thought that universal background checks or adding those on the No-Fly list to the NICS database would stop a dedicated American-born Muslim terrorist from obtaining a firearm with which to kill people is ludicrous. Moreover, that presumes that firearms are the only weapons at the disposal of a dedicated Islamofascist terrorist. A quick trip to the local Exxon or BP station would provide the makings of a very effective terror weapon. The only thing that I do agree with in her tweet is that we should pray for the victims.